Exclusive: Dr. Martin Luther King, Jr. It's a great day to be a Montclarian as Montclair High School commemorates Dr. Martin Luther King, Jr.'s historic visit. Montclair’s best kept secret: Dr. Martin Luther King, Jr. visited and spoke at MHS in 1966! Exclusive at The Montclair Dispatch. Stan White, President of the Dr. Martin Luther King Jr. Scholarship Fund. Photo courtesy of Scott Kennedy of Studio042 Photography. 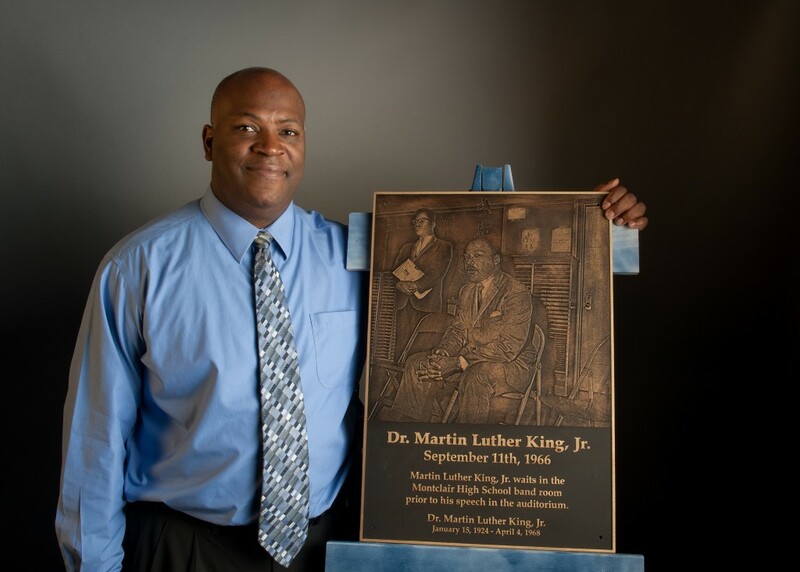 On Monday, Jan. 18, 2016, the proud students of the Montclair High School Civics and Government Institute (CGI) will unveil a new bronze plaque commemorating the visit by the legendary Dr. Martin Luther King, Jr. This memorable and historical event will take place during the Dr. Martin Luther King, Jr. Scholarship Fund’s 27th annual breakfast located in the Montclair High School atrium from 7 – 9:30 a.m., which will be televised by TV-34. Civics and Government Institute is a small learning program designed for students of Montclair High School. 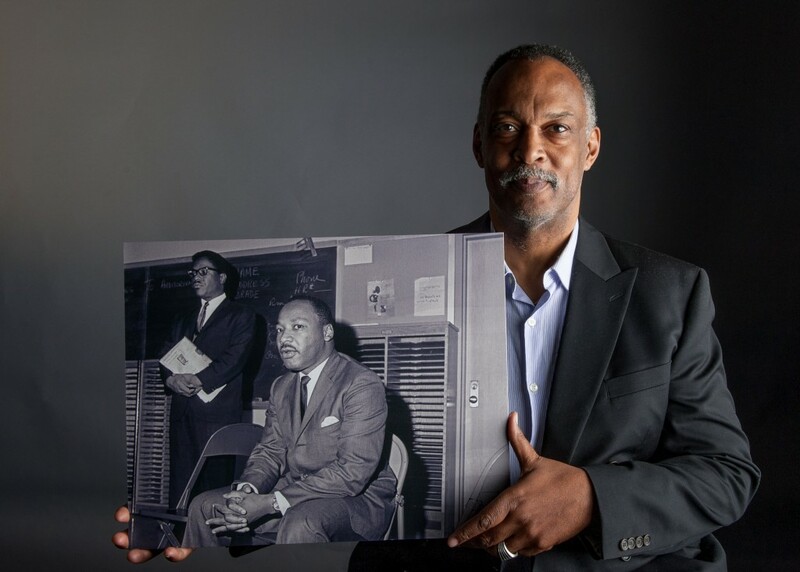 “I was genuinely surprised upon hearing that Dr. King spoke at MHS. I’m excited and proud that we can now share this history with our students and the community,” said Thomas Manos, Social Studies Lead Teacher for CGI. On Sept. 11, 1966, Dr. Martin Luther King, Jr. spoke at Montclair High School at an event honoring the retiring Reverend D.C. Rice of the Union Baptist Church of Montclair. Not only did White have the extraordinary honor of gracing the presence of Dr. Martin Luther King, Jr. as he ushered Dr. King in 1966, but dedicated his life to continuously spreading Dr. King’s message. Dr. King had taken a moment during the day’s schedule in 1966 to speak directly to White and asked him, “What are you going to do with your life?” White was forever touched at that moment. He went on to successfully complete college with a BA and MA. Upon his return to his hometown roots, he ensured that African-American students were assisted, where he could, to further their education. To this today, White’s scholarship for graduating African-American seniors has gifted hundreds of students in their educational efforts. James Earle, Montclair High School Principal. Photo courtesy of Scott Kennedy of Studio02 Photography. The plaque and photography were donated in part by The Montclair Dispatch, Pilar and Scott Kennedy and Montclair High School. Photo Credit: NJ Advance Media for the Star Ledger’s original 1966 photo of Dr. Martin Luther King, Jr.